BLACK REPUBLICAN BLOG: She Said A Powerful Congressman Harassed Her. Here’s Why You Didn’t Hear Her Story. Some members of Congress have raised major concerns with the current system over the years, but the calls for an overhaul have grown louder in the post-Weinstein era. Members have argued that 90 days is too long to make a person continue working in the same environment with their harasser; that interns and fellows should be eligible to pursue complaints through this process; and that it is unfair for a victim to have to pay for legal representation while the office of the harasser is represented for free by the House's counsel. Rep. Conyers did not admit fault as part of the settlement. His office did not respond to multiple requests for comment on Monday. The documents were first provided to BuzzFeed News by Mike Cernovich, the men's rights figure turned pro-Trump media activist who propagated a number of false conspiracy theories including the “Pizzagate” conspiracy. Cernovich said he gave the documents to BuzzFeed News for vetting and further reporting, and because he said if he published them himself, Democrats and congressional leaders would “try to discredit the story by attacking the messenger.” He provided them without conditions. BuzzFeed News independently confirmed the authenticity of the documents with four people directly involved with the case, including the accuser. "Speaker Boehner was not aware of this," Dave Schnittger, a spokesperson for John Boehner, told BuzzFeed News in an email Tuesday. Boehner was the speaker of the House when the settlement was made. Speaker Paul Ryan's called the story "extremely troubling" in a statement the morning after the story broke. The documents also show that there was a belief among at least some staffers that the office was a jealous environment. Some of the documents allege Conyers offered his protection when staff would complain to him about management in the office. Rep. Jackie Speier speaks during a House Administration Committee hearing on preventing sexual harassment in the congressional workplace, November 14. 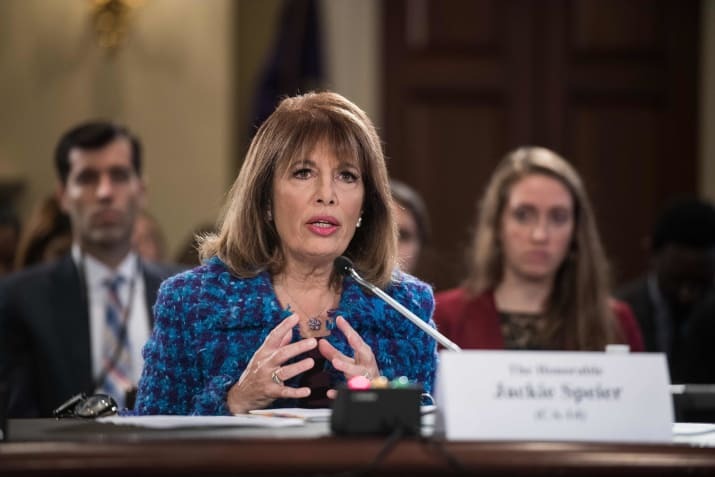 California Democrat Rep. Speier and colleagues in the House and Senate have introduced legislation that would overhaul the complaint process, including requiring the Office of Compliance to publicly name the office of any member who enters into a settlement. 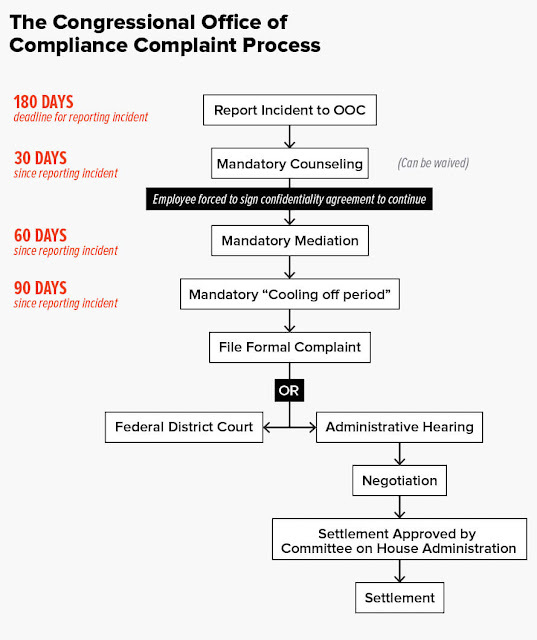 The bill would also allow complainants to waive mediation and counseling, set up a victims' counsel, and require all congressional offices to go through harassment training every year. Conyers’ office has a history of ethical run-ins. In 2016, his former chief of staff Cynthia Martin pleaded guilty to receiving stolen property after she refused to reimburse $16,500 that was mistakenly deposited in her account. A preliminary investigation by the Office of Congressional Ethics found that Conyers continued to pay Martin more than $13,000 per month when she was supposedly on unpaid leave. 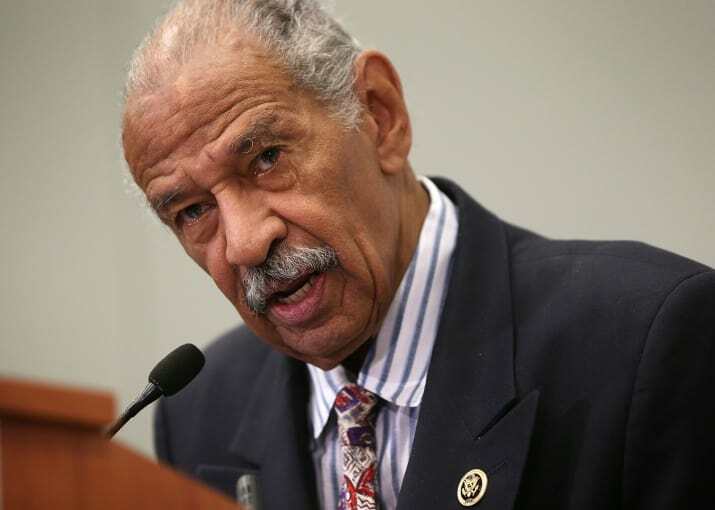 In 2006, two former aides complained that Conyers made them babysit his children, run errands, and work on his reelection campaign while drawing their congressional salaries. There was also a bizarre incident in 2005 when 60 Thanksgiving turkeys, given to his staff to disperse to people, may have gone missing. Conyers’ wife, former Detroit city councilor Monica Conyers, was sentenced to three years in prison over bribery charges in 2010. (One of the documents alleged Conyers began “aggressively acting out his sexual harassment behavior” following this.) Last year the couple renewed their vows.